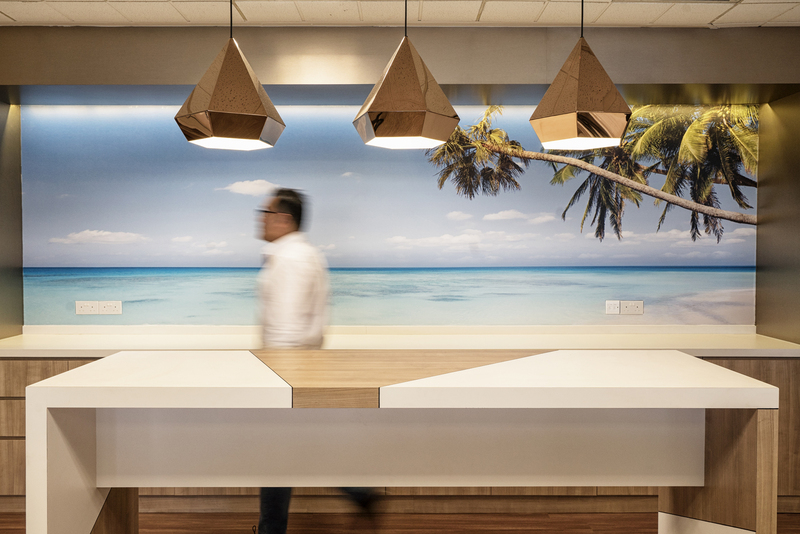 We decided to create a resort-like feel for this office of the world-leading publishers for premier hotel accommodations worldwide. 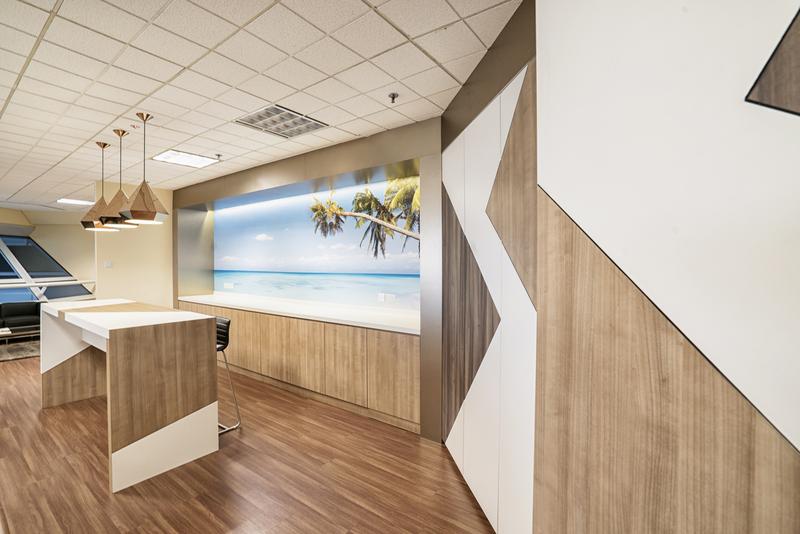 Using the office’s panoramic window view of the city skylines as a backdrop, our designers installed grass-green carpeting and beech wood panelling to create a space that was at once a holiday destination, yet a functional working space for their employees. 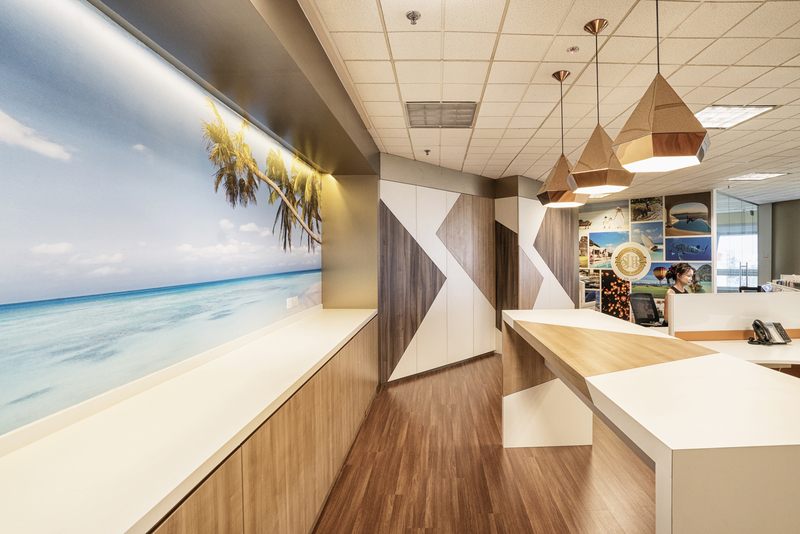 We used light colours for the walls and carpet, luxurious laminate flooring and a specially-designed pantry and storage space with accents of brushed bronze to represent the brand and luxury ideology, with clusters of system furniture with low privacy panels to allow the employees to have an open feel with some privacy. The low panels include magnetic whiteboards for practicality. The large glass meeting room makes full use of the surrounding windows with a magnificent view and keeps the office feeling spacious.